Little Box of Heaven : Magic Brush Pets Unleashed! Our time with our pets is so beautiful and special. 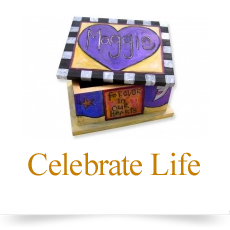 That's why I have created these custom, personal memory boxes, to hold all of your treasured memories and keepsakes, and I named them Little Box of Heaven. 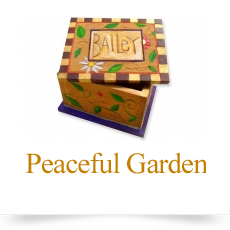 You have your choice of two standard designs: The serene, natural wood, jewel-toned PEACEFUL GARDEN Little Box of Heaven, or the richly colored, playful CELEBRATE LIFE Little Box of Heaven. 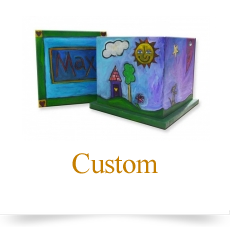 Each one comes with your pet's name engraved and hand painted on top. Our third option is our CUSTOM Little Box of Heaven where you can choose any color, size or design you'd like. If you can dream it - we can CREATE IT, with love, just for you. 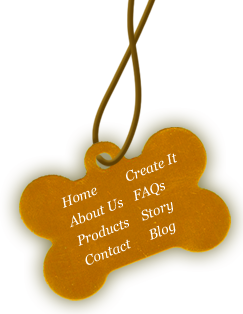 For more details about each Little Box of Heaven, please click on the boxes below.